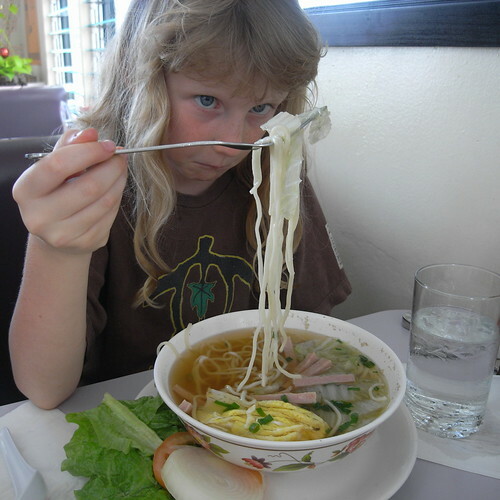 Pondering Saimin, originally uploaded by Eric Jeschke. We’ve got a little restaurant/sports bar just down the street that we’ve finally checked out. Even though it was so close, we’d never gone in up till now because it didn’t look like much from the outside. Turns out they have a nice little menu with some decent bar food. Tyler and I are partial to the cheeseburgers. Amy went for the Mahi sandwich, and Momi opted for the saimin.